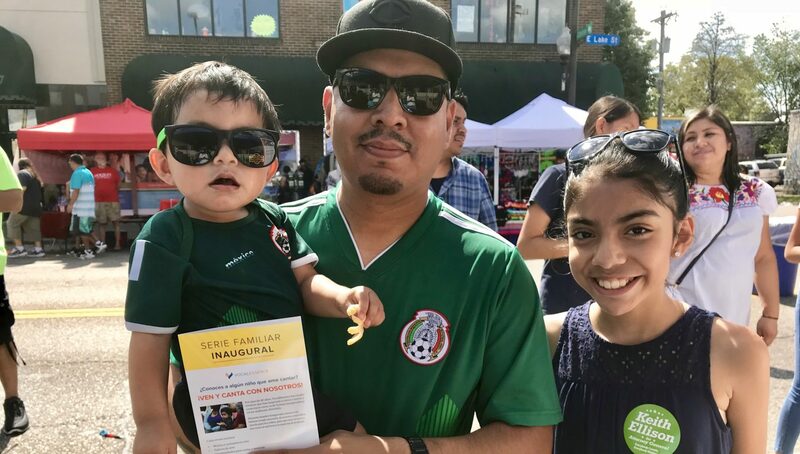 As a direct response to the Listening Zone Initiative recommendation to partner in new ways with specific cultural communities, we are working with local partners to encourage Spanish speaking families to attend our Family Series events this season. We have hired Gustavo Mancilla of MLatino Media to assist with strategy and translation services to get the word out about our Family Series to Spanish-speaking families. To do this, we created a Family Series Flyer in Spanish to give to families. Gustavo has been attending local festivals to get the word out on our behalf this fall and winter. See a photo above from one of the events. The next step in our process was making the ticket ordering process easier. We have worked with Orchestra Hall to create a dedicated phone line for Spanish speakers to order tickets. A Spanish-speaking ticket representative calls the families back to help them with the ordering process. We also are partnering with Amigos del Mercado: Centro de Apoyo to assist Spanish speakers in ordering tickets online. Families can visit the help desk to have a Spanish-speaking volunteer help them with the process. 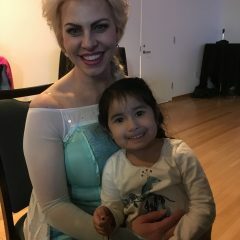 F inally, we have a new partnership with the nonprofit Way to Grow and are supporting low-income families, including Spanish speaking families, in attending the Frozen Movie Sing-Along at the American Swedish Institute on February 2, 2019. We hope the partnership will continue to blossom.